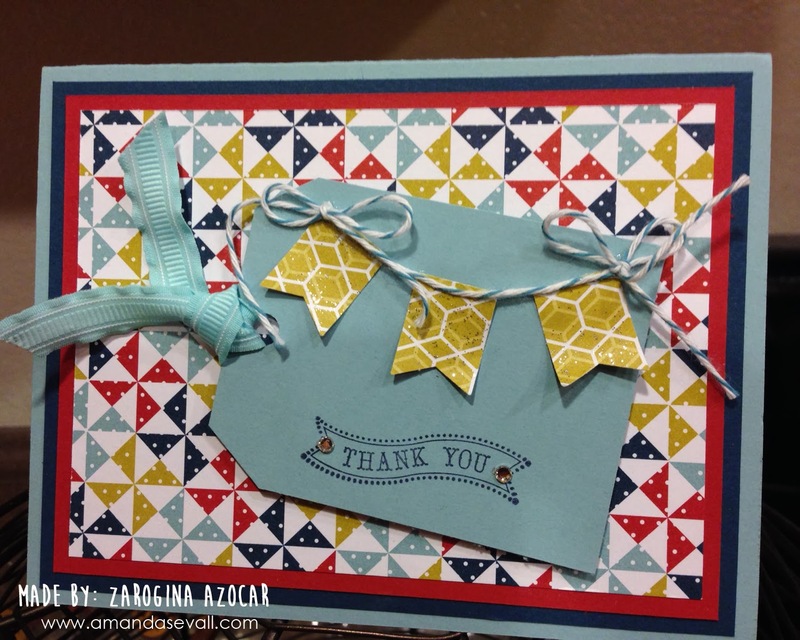 She opted to use the opposite side of the piece of patterned paper I used! Somehow I missed getting a photo of Kat's card.... sigh.... oops! It was also very cute! I love it!! 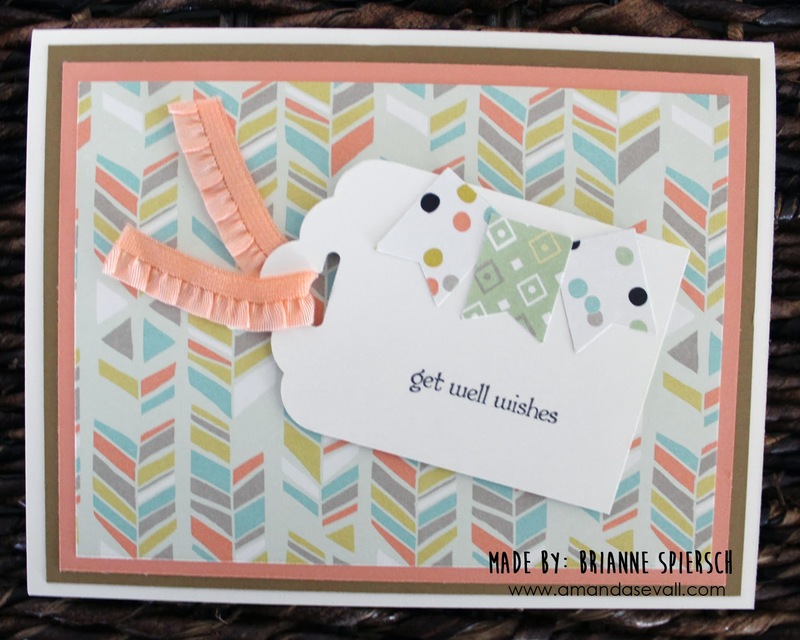 Totally versatile sketch, not to mention two of my favorite new punches.... the Scalloped Tag Topper used to make this super cute tag and the Banner used to make the adorable banner pieces. Didn't Bri and Zarogina make some cute cards?! Very nice! I always like seeing how different the same project can look with different papers and other small changes. Night and day!